In just a few days the PokerStars Blog crew will return to the Bahamas for the 16th edition of the PokerStars Caribbean Adventure. While much of the PCA will be as it has been in years past, this year the festivities will include an event unlike any other in the history of tournament poker, one that tells the story of PokerStars's 2018 despite having yet to take place: the $25,000 PokerStars Players No Limit Hold'em Championship. "Obviously, competition breeds people coming up with innovative things, and we've seen some competition lately from the way people can play live events," Daniel Negreanu said of the PSPC late last year. 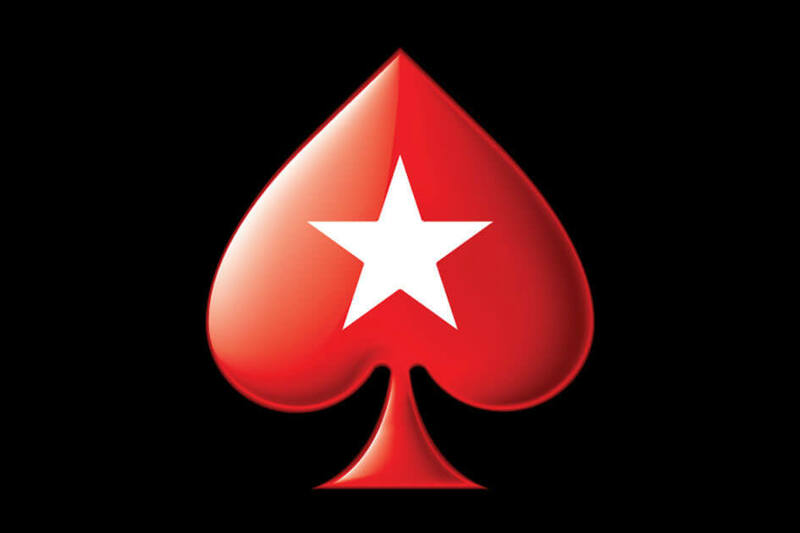 "This is our way to show the poker community that PokerStars has always actually cared about poker first and foremost, and they want to prove that." Aside from being a love letter to poker players and one of the richest medium-field tournaments ever held, the PSPC will also serve as the coda to a year that saw PokerStars devote enormous resources to stocking the tournament's field with players from literally all over the poker world, from Argentina to Armenia, Canada to China, India to Israel, Moldova to Mongolia, the United States to the United Kingdom. Key to accomplishing that goal was a promotion unique in all of poker, the focus of the site's efforts in 2018: the Platinum Pass. The $30,000 Platinum Pass -- good for a $25,000 PSPC buy-in plus an extra $5,000 in travel and lodging expenses -- moved from the realm of abstract ideas into reality only weeks before the start of 2018. The first passes served as consolation prizes for Andrzej Siemieniak and Mihai Manole, who both busted on the Main Event bubble at the PokerStars Championship Prague in December 2017. The intervening year has seen more than 300 other poker players of all skill levels get their hands on the most coveted card in poker, with the end result a PSPC field stocked with players from across the full spectrum of poker skill. Featuring world-class crushers like David Peters as well as students, housewives, and grandparents who mainly play the game as a form of recreation, the PSPC field is going to be a unique representation of the poker world. Back in April, when we had still only distributed about 100 Platinum Passes, our own Brad Willis summed up exactly how special this whole thing is. "Here's the thing: I've been around this scene for a long time. I've seen players and promotions come and go. I've seen tours rise and fall. I thought I'd maybe seen it all. I've never seen anything like this. I've never seen so many millions of dollars being spent to ensure PokerStars players of all stripes--rich folk, regular folk, good players, new players, players who can't even believe they've won--get an experience like they have never had before. But I have seen this kind of happiness before. I saw it on the faces of people who were getting to play for life-changing money as PokerStars led them into a world they could only dream of ever seeing. It's pure joy, and it's what makes this experience worth every penny and ounce of effort being put into it." The ways our Platinum Pass winners earned their trips to the Bahamas were almost as varied as the players themselves. Some were bonus rewards for big wins in Main Events and Super High Roller tournaments around the world. Some were consolation prizes for tough losses. And still more were distributed in freerolls and special promotions online and around the world. To get a sense of the full picture, it helps to start with where we'll be returning next week: the PokerStars Caribbean Adventure. A week later Konnikova collected another PCA cash and another Maria took center stage in the Main Event. Maria Lampropulos of Argentina saw off the challenge of a final table that included the likes of Adrian Mateos and eventual runner-up Shawn Buchanan and became the first woman ever to win the PCA Main Event. It was her second seven-figure score in eight months, and it also earned her a Platinum Pass. From the PCA onward there were Platinum Passes set aside for event winners at nearly every PokerStars Live festival around the world, including a bevy of champions on the newly reconstituted European Poker Tour and Asia Pacific Poker Tour. In Macau the passes went to Mikita Badziakouski, James Chen, Chen An Lin, Alvan Zheng, Lin Wu, and Siyou Cao. Michael Soyza won his pass in the APPT Korea Main Event. After retiring to let the PokerStars Championship have its time in the sun, the European Poker Tour returned to the worldwide tournament calendar in 2018 -- a welcome relief to those who had tearfully bid it farewell at the end of 2016. Five stops (two in Sochi and one each in Monte Carlo, Barcelona, and Prague) gave us plenty of winners to cover here on the blog, among them Arseniy Karmatskiy, Nicolas Dumont and Guillaume Diaz, Piotr Nurzynski and Haoxiang Wang, Paul Michaelis and Henrik Hecklen. And the Brazilian Series of Poker handed out almost two dozen passes over the course of 2018. Among those we spotlighted who will be part of Team Brazil in the Bahamas next week are Tiago Magalhães, Kelvin Kerber, Pedro Padilha, Thiago Crema, Ecktor Lopes, Marcelo Horta, Rogério Pereira, Saulo Sabioni, Leandro Balotin, and Paulo Milani. Among the most compelling stories on the Blog this year were those Platinum Pass winners who earned their tickets to the Bahamas through a wide range of promotions with PokerStars partners around the world. Harry Rafikovich and Jennifer Carter both won theirs in Stars Rewards freerolls. Mikolaj Syp, who calls himself the PSPC's "biggest underdog," won his pass watching a PCA live stream; Maxime Toulet-Settembre won his watching the EPT Barcelona Main Event stream. Days after cashing in the PCA Main Event, Steven-Michael Jost learned he'd won a pass in a drawing while he was watching TV in his hotel room. Arthur Jun won the PokerStars University Series by playing against other student poker players from across Brazil. Weekend grinder Carlo Rodriguez won his pass in a drawing at the Seminole Hard Rock Poker Open. Miguel Montoya won his in a flipout tournament at EPT Monte Carlo without even being present. Joshua McLaggan's love of solving puzzles helped him crack the #PASScode and earn his pass in no time flat. Filippo Filardo won his in an all-in shootout and didn't believe the email from Stars support was real until he was driving a Ferrari around Monte Carlo. Vasile Merisescu won a Platinum Pass in a Seminole Hard Rock Summer Series freeroll that he shouldn't have even been in town for. Paul Tedeschi won his in a flipout tournament at EPT Monte Carlo, as did Sumit Sapra in Korea. After years away from serious pursuit of the game, a failed satellite attempt resulted in an all-in shootout victory and Platinum Pass for Michael Schulz. And when technical difficulties prevented Danish player Toke Gerding Jensen from playing the final of the Poker In The Ears Freeroll League for a ticket to the Bahamas, the boys invited him on to play a BoJack Horseman-themed, Platinum Pass-winning round of Superfan vs. Stapes. Alice Zheng won the only pass guaranteed to go to a woman. She held on tight to make the final table of the LIPS National Championship, then triumphed over a flipout tournament for the finalists to earn her ticket to the Bahamas. At the end of the year a slew of players were chosen to receive Platinum Passes after being nominated by their peers. Linda Johnson and Kevin Mathers were selected for their consistent contributions to the worldwide poker community. And Damon Ferrante and Aleeyah Jadavji were chosen for their consistent dedication to poker and philanthropy in the face of life-threatening illness. Equally compelling were the stories of players who won their Platinum Passes in events like the PokerStars Festivals, Megastacks, and Mammoths. With the smaller buy-ins in many of these events, the Platinum Pass frequently represented extra value in excess of the champion's actual winnings from the tournament. Back-to-back Main Event winner Kalidou Sow and Dragos Trofimov won at the PokerStars Festival London, and Omar Del Pino won at the PokerStars Festival Marbella. Nikolay Ponomarev and Atanas Pavlov both earned theirs in London -- the former defeating the latter heads-up in the London Megastack, and the latter in the PokerStars London Series Main Event. Peter Brankin did the same. Jofrey Puaux bagged his at Megastack Gujan-Mestras, Guillaume Merlinge at Megastack Sanremo, and Yasutake Oka at Megastack Manila 10. And Darren Millar got by with a little help from a friend in the Dublin Mammoth. 2018 marked a decade and a half since an accountant from Tennessee parlayed an $86 online satellite victory into poker's world championship, $2.5 million, and a lifetime of association with the game he helped popularize among the masses. PokerStars paid tribute to 15 years of the Moneymaker Effect, with the Moneymaker PSPC Tour. The idea was simple: give the man who turned $86 into a world championship a bag of Platinum Passes and have him award them to the winners of a series of $86 tournaments held around the United States. The tour made winners of the kind of players who make the game their life yet rarely get the chance to play in a major-scale tournament like the PSPC. Cliff Ellefson won the tour's first pass at Stones Gambling Hall in northern California. John Mokhtari, who's been playing poker since 1956, won at Lucky Chances. Ronald Mici, who works at the World Trade Center as a janitor, represented the Bronx at Foxwoods. Young Israeli Ori Kossonogi won at Hawaiian Gardens. Arthur White got the third-largest share of a deal but won the pass at Mohegan Sun. Nitis Udornpim won at Live! without having to play the final hand. And Ray Suppe came north from Texas to beat the field at WinStar in Oklahoma. Then there were the tournaments that Moneymaker himself won or went deep in. Holding a quarter of the chips in play, Chris took third-place money and bowed out at Talking Stick Resort -- then Furkan Beg took down the tournament and the pass. At Seminole Hard Rock, though, Andrés Risquez defeated the tour's namesake heads-up for $14,000 in addition to the Platinum Pass he was already guaranteed for outlasting the field. Even among the diverse roster of Platinum Pass winners, there's one sub-group that's particularly diverse: those who won a Platinum Pass Adventure. The only thing these players had in common was the prize they earned for conquering a challenge set by a member of Team PokerStars. Otherwise their routes to the Bahamas were as unique as the players themselves. The most straightforward Platinum Pass Adventures were all about demonstrating poker skill. Chris Martin won an epic freeroll for members of Fintan and Spraggy's Twitch community, while Caio Calmon won a series of single-table tournaments at the Brazilian Series of Poker to take down Andre Akkari's PPA. David Corkett and Natalie Teh won passes by displaying their mathematical prowess in the Next Great Poker Brain competition hosted by Liv Boeree and Igor Kurganov. Warren Sheaves created a game called Chess Draw to win Jen Shahade's #MyChessPokerGame competition, which asked entrants to come up with a new game that used elements of both chess and poker. Other PPAs focused on doing good for others. Jordan Matthews won Daniel Negreanu's #DonateWithDaniel Platinum Pass Adventure, pledging 100% of any PSPC winnings he might earn to two mental health charities. Ecuadorean doctor Benjamin Alvarado won Lex Veldhuis's #PSPCitFWD PPA with the story of giving his time -- and the hair he'd been growing out for 17 years -- to make wigs for cancer patients who'd lost their hair during chemotherapy. Then there were those who embarked on personal journeys. Jason Somerville's PPA was a challenge to players to start their own Twitch stream, one that Hristivoje "ALLinPav" Pavlovic answered best. Jeff Gross and Andrew Neeme couldn't narrow down their #VloggerInParadise contest and selected two winners, Matt Keifer and Oliver Biles. And Jaime Staples' #MyUltimateSweat winner, Nikhil Segel, overhauled his lifestyle with his health in mind. I am humbled & blown away! A huge Thank you to @jaimestaples & @PokerStars & #theuniverse for placing me at the right place at the right time! To all the #MyUltimateSweat participants, without you & your support this would never have happened! While PokerStars was devoting most of its resources and attention to the PSPC, there was plenty of other, more traditional content here on the blog, too. Keeping track of Team PokerStars at the World Series of Poker is a long tradition here at the PokerStars Blog. In 2018 we chronicled just how much things have changed over the years for four members of the team: Barry Greenstein, Daniel Negreanu, Andre Akkari, Jake Cody, and Maria Konnikova. We had a look at the WSOP payout process and a book of stories from poker players like Barney Boatman. We chatted with two PokerStars Ambassadors from India, Muskan Sethi and Aditya Agarwal. We were there when Chris Moneymaker told the Main Event to shuffle up and deal. And of course we were on hand for the second-largest Main Event in the tournament's history, from flipping out to win a seat to the bubble to the longest final table in its history ended in victory for John Cynn, who two years earlier had busted the same tournament in 11th place. As Eric Hollreiser wrote during the summer, "Spreading the love and passion for the game has always been a core value of our company, so we are devoted to making the most out of this and any new platforms that can bring poker to wider audiences. Ultimately, we believe Twitch is #GoodForPoker and so we are all in with it." Part of moving all-in on Twitch this year meant kicking off the new joint venture between Run It Up and PokerStars. Our own Howard Swains visited RIU's new Las Vegas headquarters during the 2018 WSOP to get a look at how far Jason Somerville's venture has come from its beginnings and where it's headed in the future. 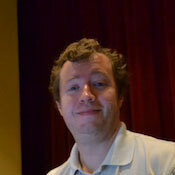 The PokerStars Blog was also on hand for Run It Up Reno. Jason Somerville and the RIU crew there held a Moneymaker PSPC Tour event which gave winner Nathan Manuel the Platinum Pass he'd been chasing for almost 10 months. Then Matt Stout defeated Kevin Martin heads-up for the Main Event title. Arlie's 12 Labours began with a cryptic message for Arlie Shaban: the "Poker Gods" had challenged the Canadian Twitch streamer to "Skin the Dutch Lion." Arlie had to figure out what that meant and then follow through. He managed the feat and then began a journey unlike any other Platinum Pass winner's, one that concluded with a modern-day Christmas miracle. Aside from being an excellent venue for handing out Platinum Passes, Twitch was a consistent spot for entertainment value in the form of Team PokerStars. Fintan "easywithaces" Hand won the $44 Bounty Builder live on stream, while Lex Veldhuis binked the Big $33 on a day where he had three other deep runs at the same time. Then there was the time when Kevin Martin won the $109 Monday 6-max for $7,500. And sports fans got to see a little bit of inside football when Spraggy's Twitch community helped him sponsor the Tetbury Town Reserves. Not long after PokerStars VR was introduced, Jaime Staples got in on the fun live on his Twitch stream. Midway through the year we took a look at some of the best Twitch streamers you don't know. Twitch was also where we watched Rocky win a $1M Spin & Goal and Julius of PhantomPokerTV win the Bounty Builder Main Event in his first week of streaming. At the end of every year, no matter how much focus we might lavish on live events, online poker remains the core of what PokerStars does. Without it, the rest couldn't exist. That was no different in 2018. In fact, we continued to improve our lineup of tournaments throughout the year. The Turbo Series replaced TCOOP and L1VeYRdrEamS won the Main Event for nearly $400,000. We expanded the COOP lineup with SECOOP for players in Southern Europe, joining the prestigious SCOOP and WCOOP series on the annual online schedule. Common Cents and MicroMillions gave micro players the chance to play for big money. When our 10th Anniverary Sunday Million ended up sporting a $1.2 million overlay, we ran a Take 2 version of the same event. The Winter Series awarded some enormous prizes at the start of the year and began its latest incarnation at the end. And both SCOOP and WCOOP continued to reach new highs. And on both a smaller and larger scale all at once, the schedule of daily tournaments continued to evolve with new High Roller Club events that expanded the number of weekly $500+ tournaments from 25 to 45. Maria Konnikova's year would have been a big one even if she'd stopped playing poker and gone on to finish writing The Biggest Bluff after her PCA National win. But that wasn't in the cards. By May, when Brad Willis caught up with her in Monte Carlo, she was trending on Twitter after word had gotten around the mainstream news about her journey from student to pro. A month later, having already spent a year as an unofficial ambassador, Konnikova had officially joined Team PokerStars. The publication date of The Biggest Bluff was pushed back to late 2019 and Konnikova moved forward playing major festivals around the world. By the end of 2018 she had collected more than $240,000 worth of cashes in seven different countries, including her PCA National win, a runner-up finish in a side event at APPT Macau, and an in-the-money finish at the WSOP Main Event. "Today when I sit down to play, I feel like a completely different person than I was a year ago -- not just a different player, a different everything," she said when she joined Team PokerStars. "The way I'm thinking about life has evolved along with my thinking about the game. I'm excited about the new opportunities open to me, and eager to make the most of them. I've been tremendously fortunate -- and I'll play my absolute best." Regardless of how The Biggest Bluff eventually ends, Konnikova already embodies the spirit of the PSPC. A year and a half ago she knew next to nothing about poker; today she sports a C.V. with a quarter million dollars in cashes, a sweet gig as a PokerStars Ambassador, and a chance to freeroll her way to millions of dollars more. This fall she brought her journey full circle, giving away a PSPC package in a Platinum Pass Adventure of her own design. In just a few days we'll be back in the Bahamas again. Maria Konnikova will begin writing the final chapter of a year-long journey that has returned her to the scene of her biggest triumph. Another 300-plus Platinum Pass winners will be scripting new chapters of their own stories, too. And when the results of the PSPC have been recorded for posterity, PokerStars will begin writing the story of what happens after you spend a year promoting a $25,000 tournament in every nook and cranny of the poker world and then follow through. We're looking forward to being there with you every step of the way and seeing what story our next Year In Review will tell.